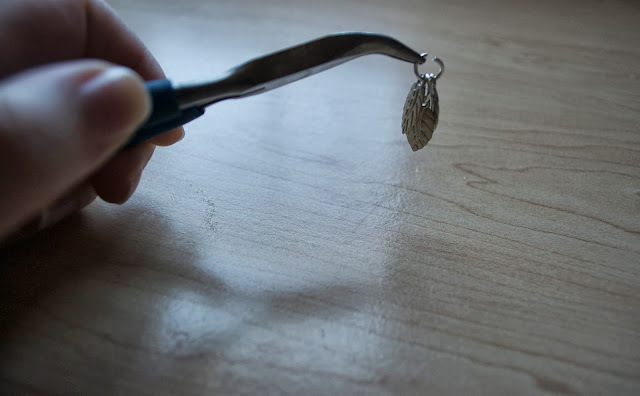 I'm back with another Fall themed jewelry project! I love making jewelry. I have to admit though: I'm really not that quick at it. It takes me a long time to design a piece and then when I do get around to creating it I'm always watching a show at the same time and sometimes get distracted. These earrings, however, were a welcome change. The design AND creation process really only took me about ten minutes. Success! I think I need to work in a mix of more easy projects like this more frequently!! These earrings don't take a lot of time, and they don't take many supplies either. 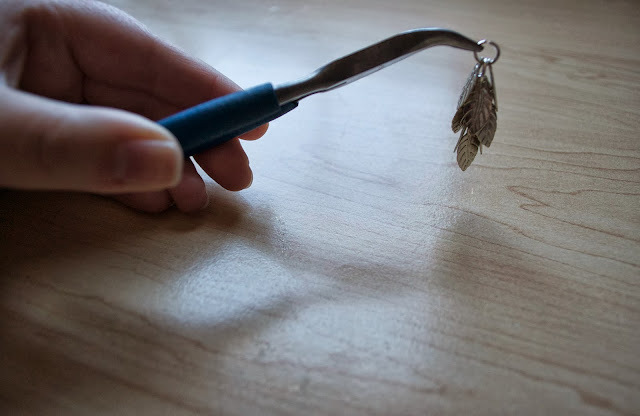 All you will need are some leaf charms (mine are from WholePort), large jump rings, a small jump ring, earring hooks, and needle nose pliers. 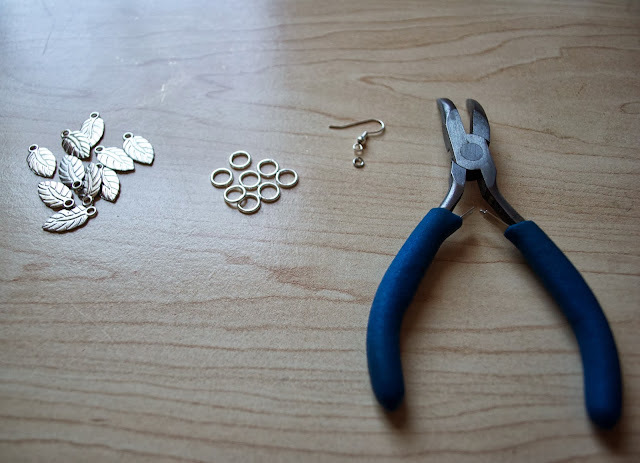 To start, open a jump ring and add on one leaf charm. 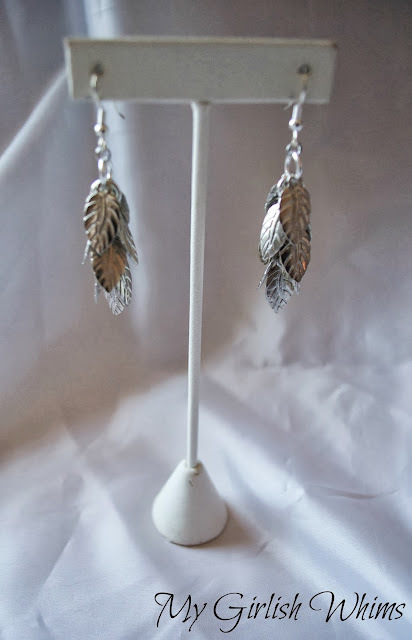 Add a leaf charm onto either side and then close. Continue until the earring reaches your desired length. 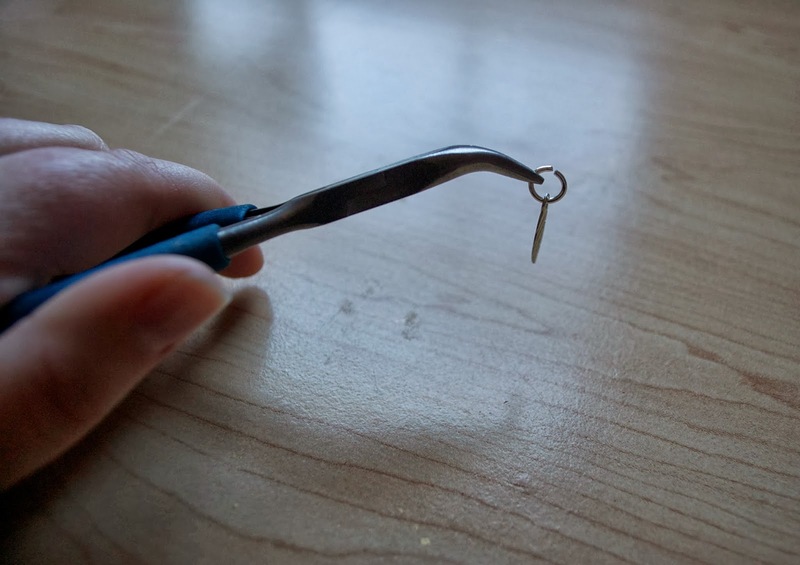 On the last jump ring string on a small jump ring and then attach an earring hook to it. Voila. 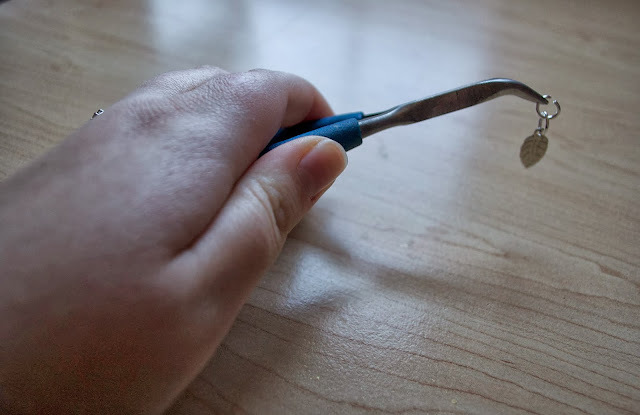 A quick and easy pair of earrings! 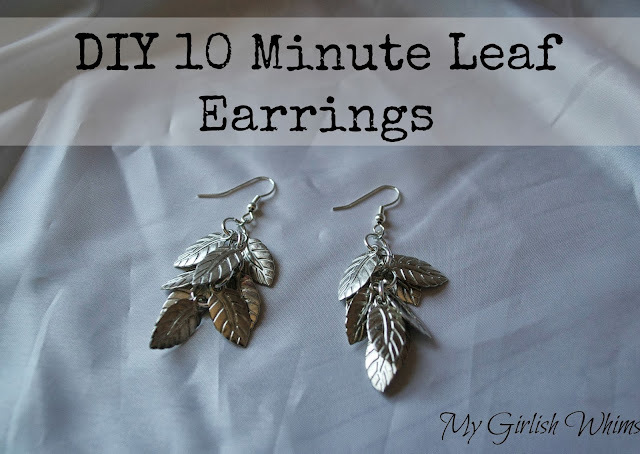 I like how up close you can tell that they are leaves, but from further away they just look like silver dangles. 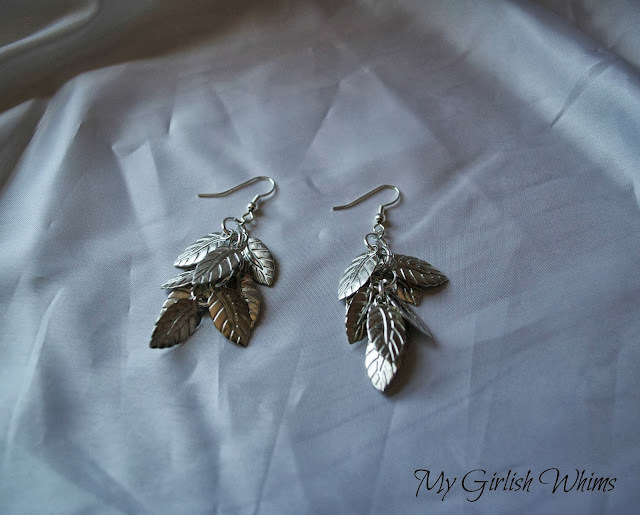 I think that makes them very fitting for fall, but still perfect to wear all year-round! These are so cute! :) <3 them! This is My kind of project! TV Isn't a distractor for me...but due to a brain injury I fall asleep while I'm making items and that often means strings of beads coming undone everywhere or something. .. I am pretty sure I could get a pair of these done before nodding off! And, They LOOK GREAT TOO!